For fans of Veronica Roth's dystopian Divergent series, discovering which actors have been cast to play the book's most infamous characters is a nail-biting experience. As readers, we tend to picture the universe of the books we inhale (that's the only way I can describe the way I take in a good book — inhalation) and the people within that universe a certain way, and occasionally Hollywood has a different idea for their big screen adaptations. With that being said, I was surprised (and intrigued!) 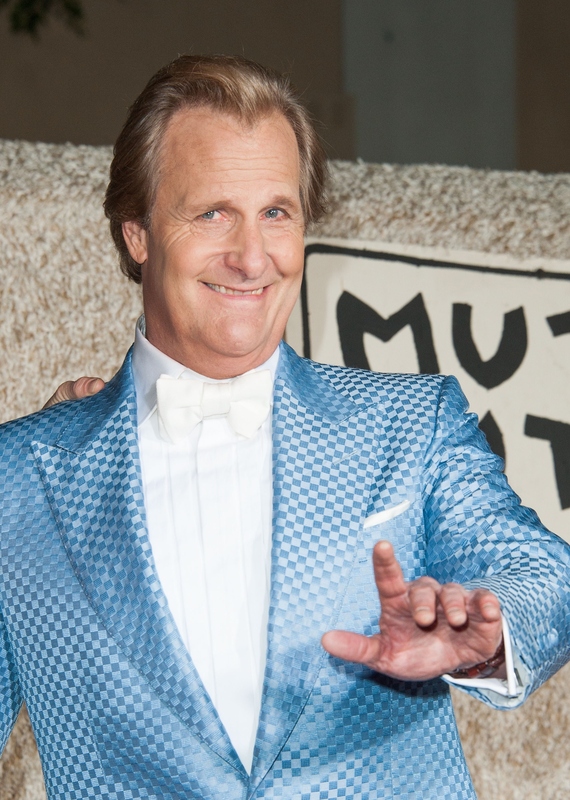 to learn that Jeff Daniels will play David in the Divergent Series: Allegiant two-part finale. Is Daniels who I pictured in the role of the most hated character in the entire Divergent series? Not particularly, I'll admit. David is universally disliked by anyone who's ever read the book and, without giving too much away, it's pretty safe to say that he's at the center of how Tris' story wraps up — something Roth took plenty of heat for when the final installment was released in written form late last year. But while David may be pretty terrible across the board, he's not a villain in the physical sense of the word, so Daniels' casting isn't particularly out of place. Sure, Daniels might be best known for sillier movies like Dumb and Dumber and the unforgettable Space Chimps, he does indeed have some serious acting chops, too. Having recently wrapped up two years on The Newsroom, moving on to Allegiant seems to be a next logical step in terms of dramatic roles. It's also a pretty brave choice, given that series fans hate the character so much — but that's probably also what's so rewarding about it, as well. Being given the chance to take on a part that's so complex and downright devious has to be a fun and rewarding experience for an actor, right? The first part of the Allegiant double decker won't even start filming until May, with a release date set for March 2016, so you've got plenty of time to wrap your head around the casting and start visualizing Daniels in his role. The second part will have an even longer wait, with the finale not hitting theaters until 2017. While we've got a long road ahead of us to get to the conclusion of the story (which, frankly, I sorta hope the movie changes from the book), it gives us a chance to start envisioning what the film adaptation might bring to us that the book lacked... like a more satisfying ending, perhaps?